Earlier Monday morning, we told you about the first phone to be powered with a Tegra 4 processor, the ZTE Geek U988S. While we had just the one photo to show you at the time, we now have a number of new photographs of the device. Unless you are a China Mobile customer, you won't get a chance to take this model home as it is designed specifically for the carrier's proprietary TD-SCDMA network. That doesn't mean that it will be limited to just a few sales, however. China Mobile happens to be the largest mobile carrier on earth. 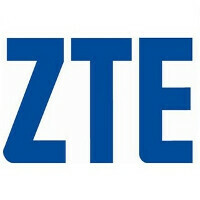 The ZTE Geek U988S will feature a 5 inch, 1080 x 1920 (FHD) display with a 1.8GHz Tegra 4 processor cooking the stew. 2GB of RAM is onboard. Front and rear facing cameras weigh in at 2MP and 13MP respectively, and the thin 9mm handset includes a microSD Slot. Android 4.2.1 is said to be installed. Pricing and availability are unknown at this time. If you don't live in China, these pictures might be the closest you get to the ZTE Geek U988S. Check out the slideshow below. And... they'll release a carbon copy phone with the same or similar specs in a few short months for no reason. Gotta love Chinese/Taiwanese manufacturers like ZTE/Huawei/HTC lol. Dont put HTC in the same sentence as ZTE, Huawei... They aren't known to copy copy copy, and their products are always very good quality. Why go with Tegra 4 instead of S800? Because of the shortcomings Tegra has Nvidia must have lowered the price considerably. It will probably show up in many not quite flagships. I'm starting not to care about the Tegra 4. That is sad because it looks like a beast. Silly Zhongxing Telecommunication Equipment Corporation. The Spec Wars was so 2012. Now it's all about usability.